We can't do what we do without the help of every single one of our volunteers. The Great Santa Run volunteers provide assistance in just about every aspect of the event to ensure that each participant has a positive and memorable experience. 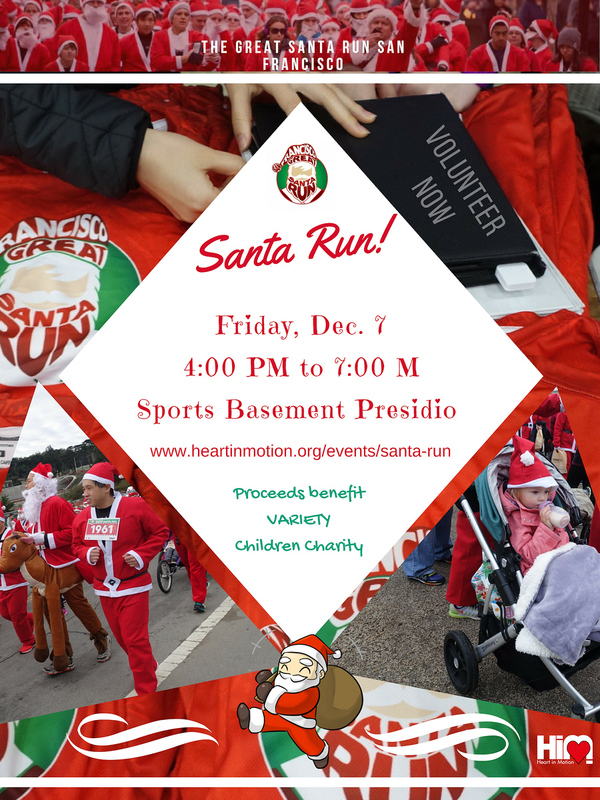 Volunteer in the San Francisco Great Santa Run benefitting Variety – the Children’s Charity of Northern California, whose purpose is to serve children who are less fortunate – children who live and grow up with a serious illness, disability or disadvantage. Location: Sports Basement - Presidio, 610 Old Mason St.